Microsoft has released Windows 8 on BUILD conference held in Anaheim, California. Windows 8, which introduced a version for developers or the developer preview. The file size of each of the above options vary, ranging from 2.8 GB to the very top, 3.6 GB for the middle and 4.8 GB for the lowest. As stated by Microsoft, Windows 8 developer preview version is not final, so after they finish downloading, you should store them on a CD or flash. If you choose the version with "developer tools", the user can only do clean install. However, if you choose another, you can upgrade from Windows XP, Windows Vista, or Windows 7. Before downloading, you should really understand that this operating system is not final so there is still lack. You also need to ensure that the hardware has to support Windows 8. 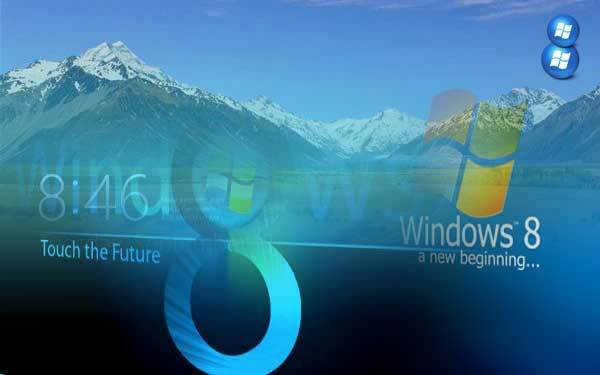 Microsoft states that all devices that support Windows Vista and Windows 7 could support Windows 8. For Windows 8 x86 (32 bit) minimum specification is a 1 GHz processor, 1 GB Ram and 16 GB of storage capacity. As for x64 (64 bit), you need a 1 GHz processor, 2 GB RAM and 20 GB of storage capacity. No matter which option will be downloaded, you need a DirectX 9 compliant GPU with WDDM drivers1.0 or higher.